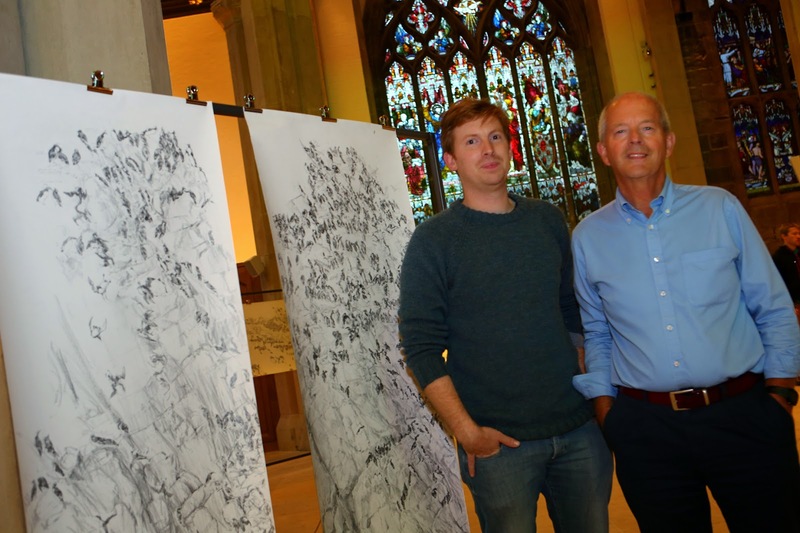 On three separate occasions during the 2014 guillemot breeding season artist Chris Wallbank accompanied Tim Birkhead to make drawings and paintings based on Tim’s 42 year-long study of Skomer’s guillemots. Chris’s images are inspired by the distribution of birds on the cliffs and informed by the results of the long-term research. 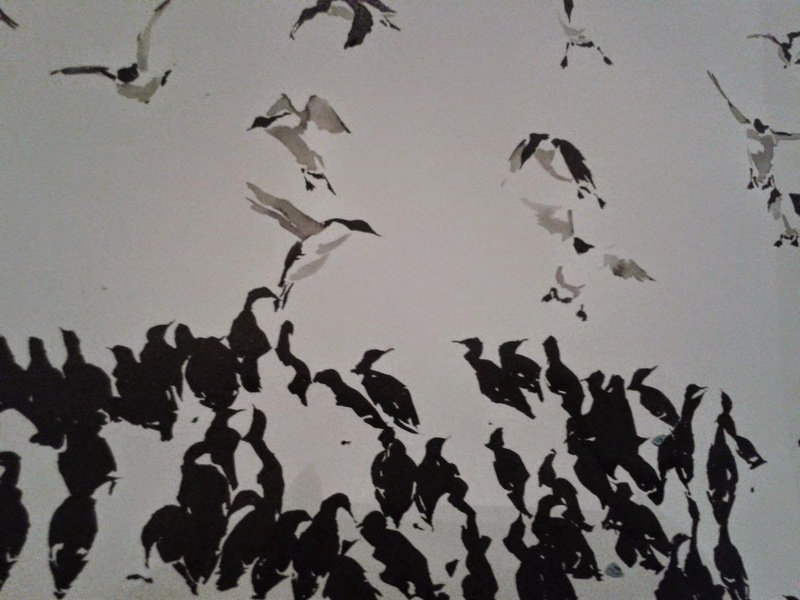 The artwork illustrates the dense breeding distribution of guillemots; their intense social relationships – both friendly and aggressive, and the fact that the life histories of many of the birds in Tim’s study colonies are known in detail – including some individuals that are now over twenty years old. is entitled ‘The Loomery Scrolls’. The title refers to the fact that guillemot colonies were once known as ‘loomeries’. The scrolls are like Chinese scrolls that can be read right to left, and provide a sense of the scale of the colonies. Working in pencil, black ink, and coloured wash, Chris has created works of art that capture the essence of what guillemot colonies are like, and illustrates the value of art and science coming together in a collaborative project. On 25 September Tim gave a talk in cathedral about his long-tern study and its findings, including the effects of the 2014 ‘seabird wreck’ in which over 40,000 seabirds – many of them originating from Skomer - were found dead. The exhibition has helped to promote Skomer as a seabird island; it has demonstrated the excitement of an artist and a scientist working side by side; and has also publicised the value and necessity of long-term ecological studies. 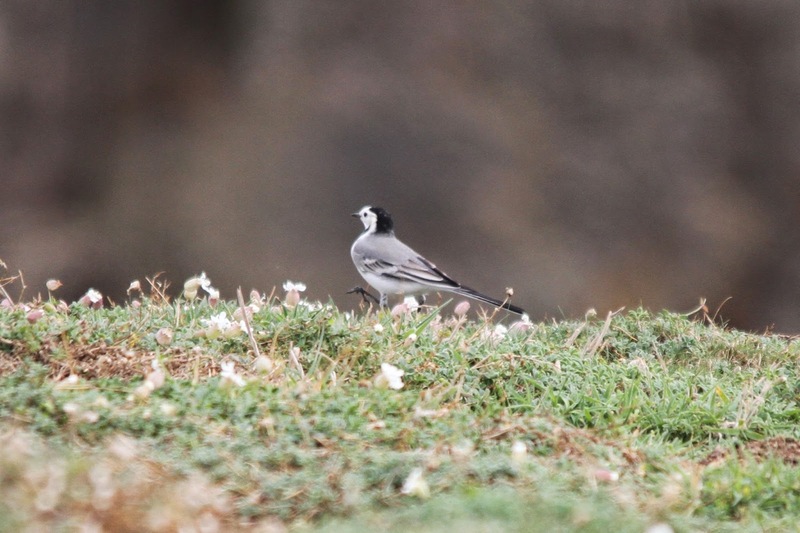 It is hoped that Chris’s work will soon be exhibited in Wales – perhaps even on Skomer. 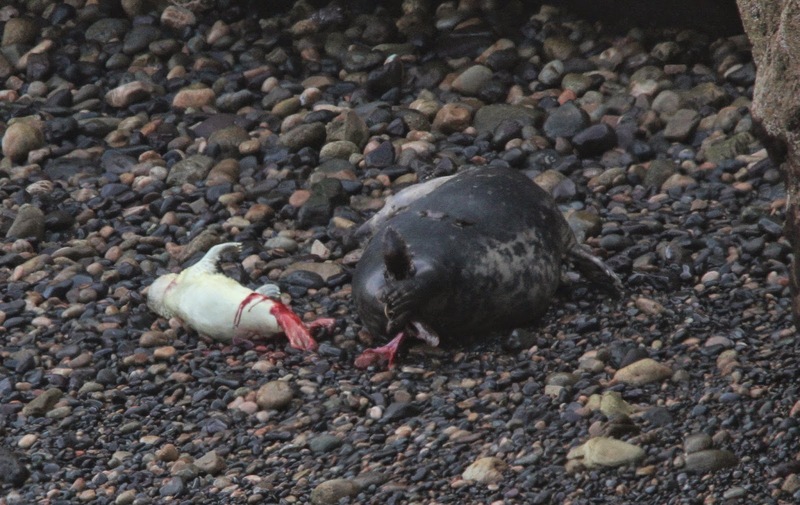 Skomer's seal season is reaching its peak and yesterday we watched pup number 55 emerge into the world on North Haven beach. This amazing series of photos documents the whole thing. 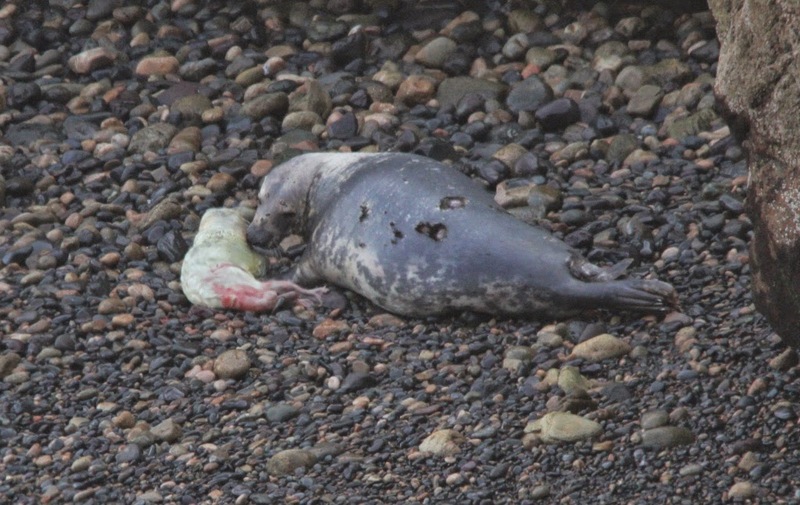 Interesting things to note are the way it comes out head first, the amniotic (birth) sac splitting and the umbilical cord breaking (very bloody), the beautiful soft white pup fur and then after the birth is complete the way that mum turns straight around to sniff the pup. She doesn't lick the pup like other mammals but spends quite a lot of time initially nose to nose with the pup forming a bond thought to be based largely on scent. The pictures tell a thousand words and I will let them speak for themselves. 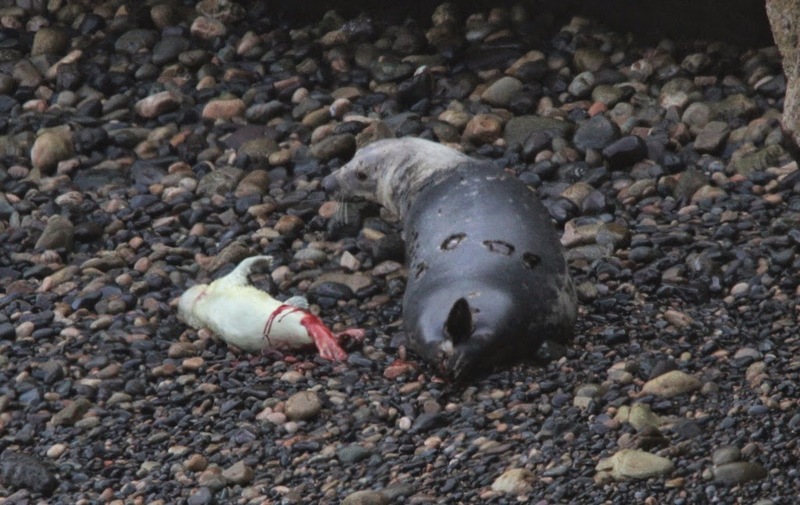 I hope the seals spark a light of interest in natural history to readers young and old. There is so much still to learn about these fascinating creatures, we just need to go out and learn. 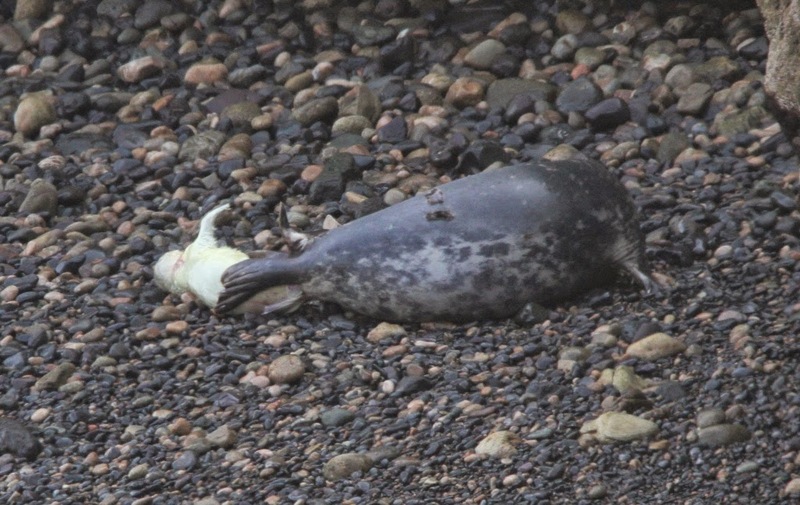 Tomorrow, countryfile will be filming the seals for a programme to be shown in the near future. so you can learn more about them here for a start. 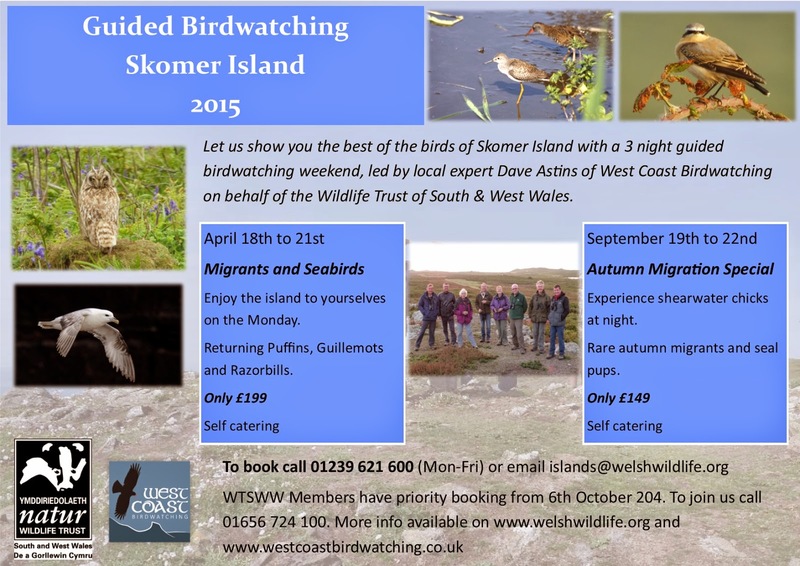 At the end of August we ran our first Shearwater Week on Skomer. Every night we bribed our tame Oxford Uni researchers, Liam Langley and Olly Padget, to deliver a talk to overnight guests and show them manxies being weighed. Although this cost us dearly in bribes, cake, tea and beer, it was a resounding success and everyone left with some amazing Manxie memories. The event was fully booked and we will be running it next year too. We're going to change the format a little bit to allow everyone a slightly more relaxed stay so you'll be booking to stay two nights, with the presentation and evening walk one night, and manxie weighing demonstration the following morning. The price is £70 for adults, £30 for kids under 16. Bookings open on October 6th and we think this will be booked up really quickly! In case you're not sure about it or want to find out more I decided against writing any more about the event, despite being asked to write this blog, and made a couple of videos instead so you can see and hear what it's all about. Hopefully those clips will have whetted your appetite to find out more about these amazing birds which call Skomer their home. Who needs puffins?! ...not of the chocolate variety but of the feathered kind: Manx Shearwaters and Migrants. 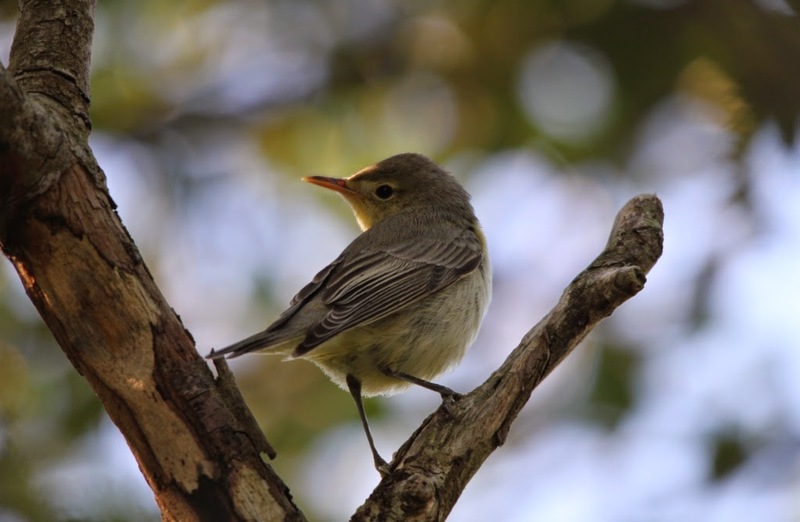 A new collaboration between The Wildlife Trust of South and West Wales and West Coast Birdwatching began today. Dave Astins, local guide and birding guru, is showing a group the delights of Skomers amazing wildlife. 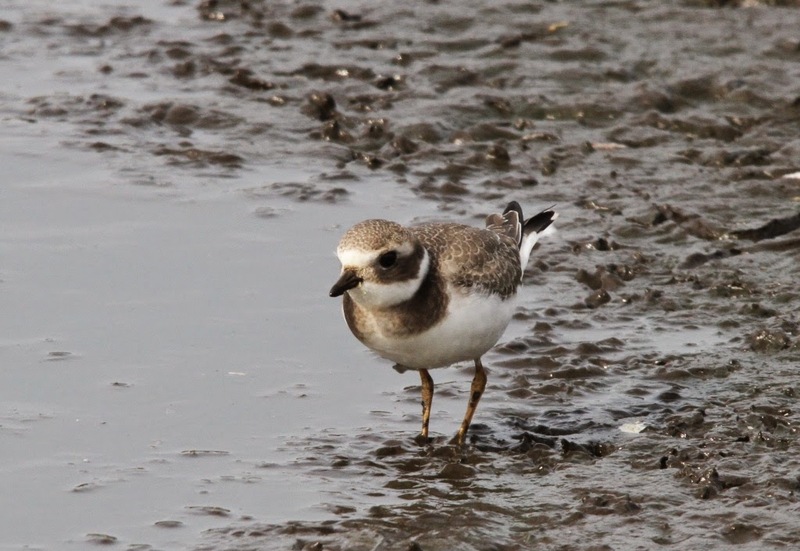 Even before they had arrived they had found a Dotterel, a Yellow Wagtail and a Whinchat at Martin's Haven. 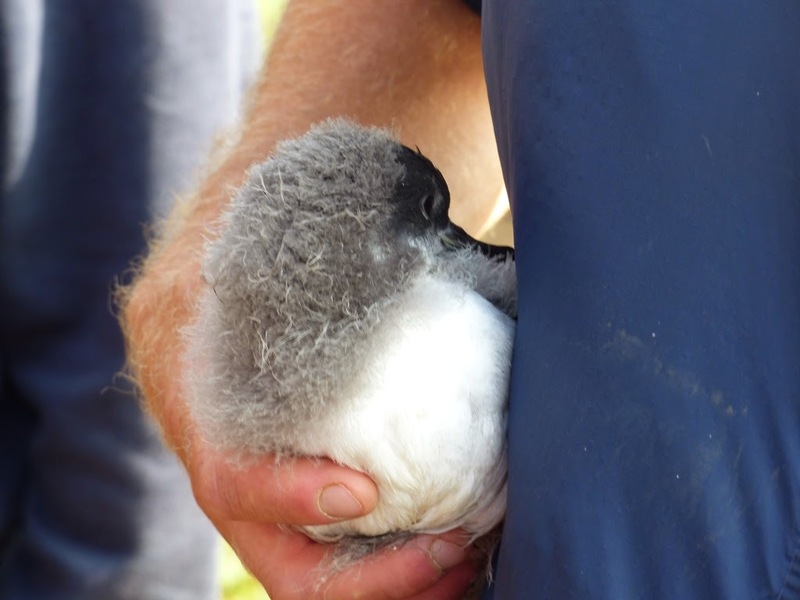 On arrival they were shown their first Manx Shearwater fledging which had been gathered up by the wardens (pic. below). They had great views of one of two Wrynecks on the island and witnessed migration in action with Swallows, pipits and wagtails flying through. A full list of the days birds is given below. 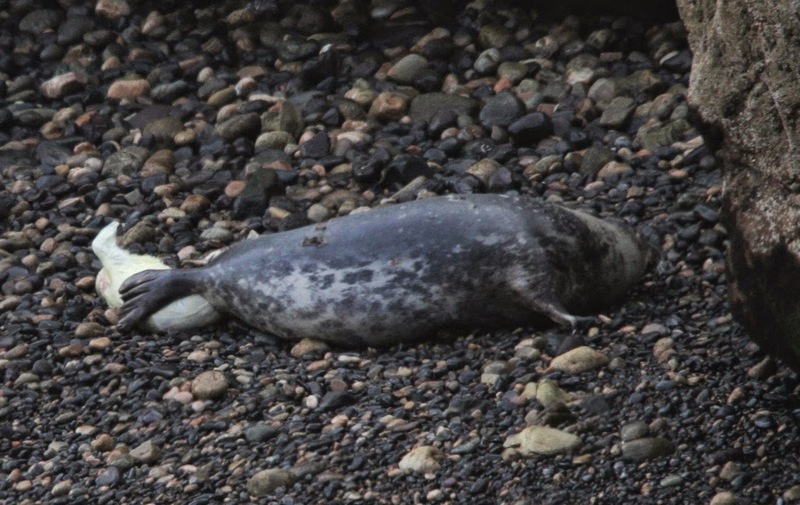 They also counted seals and saw seal pups and Porpoises, identified butterflies and spotted lizards. The highlight they tell me though was the flying pig that they saw just after watching a Wryneck. In the picture below it is the tiny dot in the sky just left of the telescope. Their surprise turned to amusement when they realised it was a balloon in the shape of a pig! then back to frustration when they considered how bad it was for the environment. 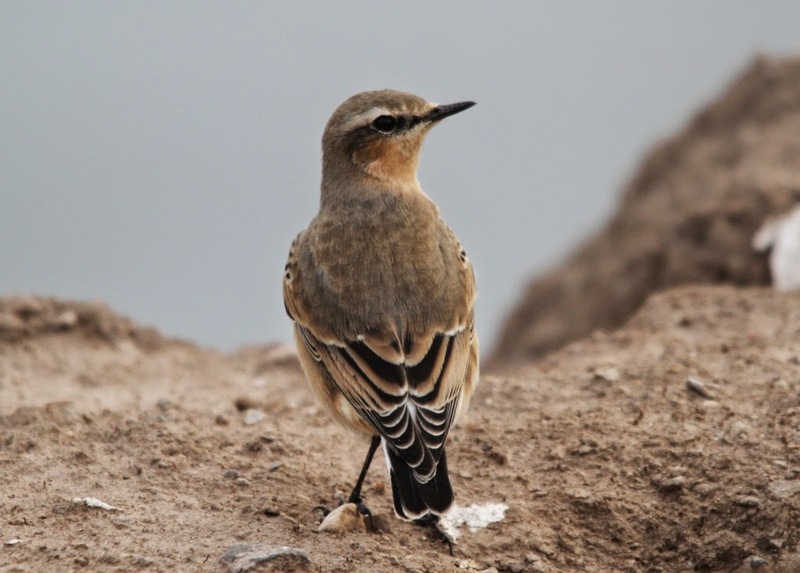 Keep an eye on the blog and website for your opportunity to join in with one of our birdwatching weekends in 2015. 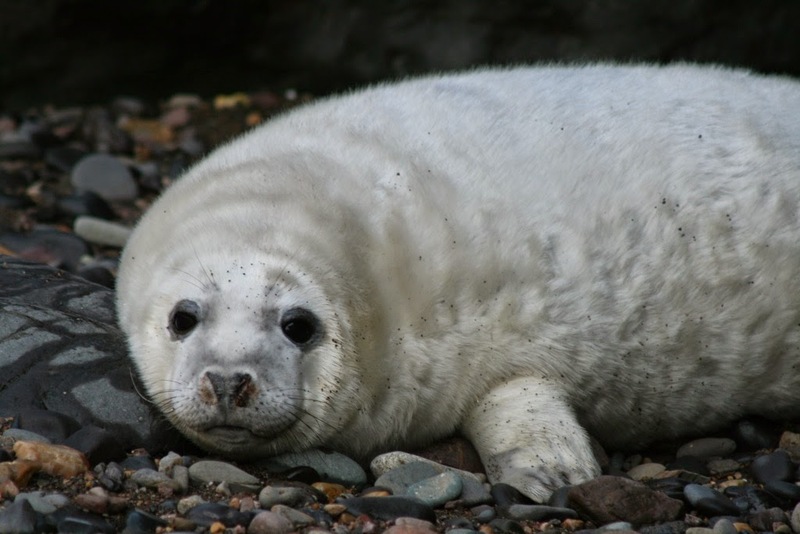 · Grey Seals. 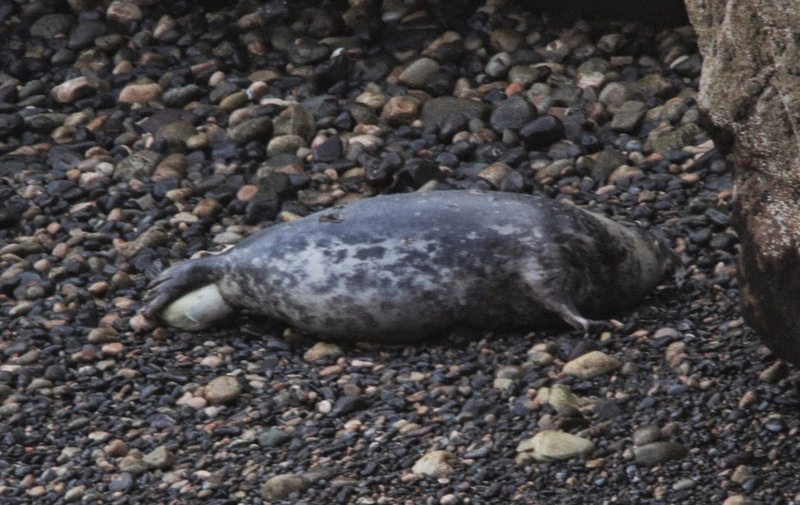 September is a great time to see Grey Seals on Skomer, with plenty of animals hauling out on the many beaches and offshore rocks we have around the island, offering good and entertaining viewing! 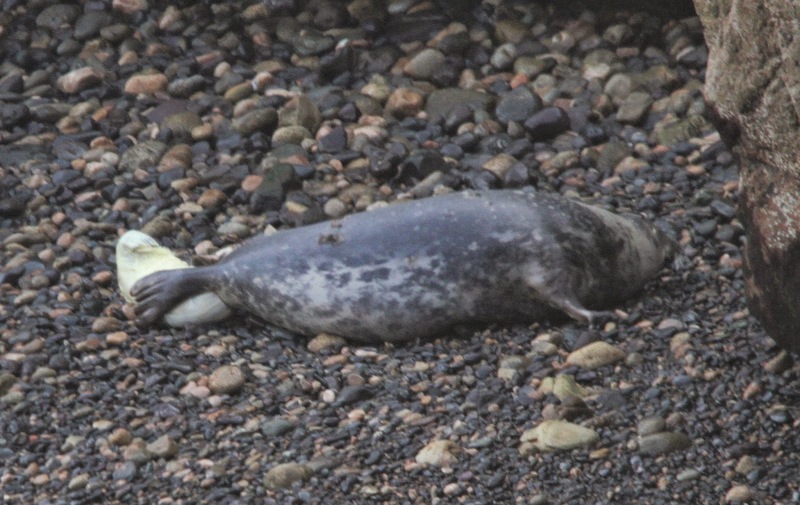 With many of our animals also pupping on our quiet secluded beaches, now is the best time to come and see the seal pups. · Manx Shearwaters. 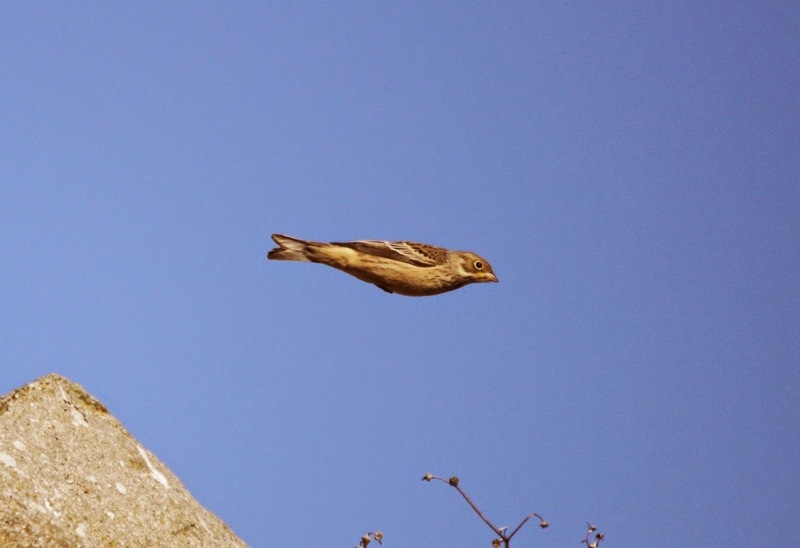 All I can say is… What a bird! It’s just oozing with mystery and amazing facts. 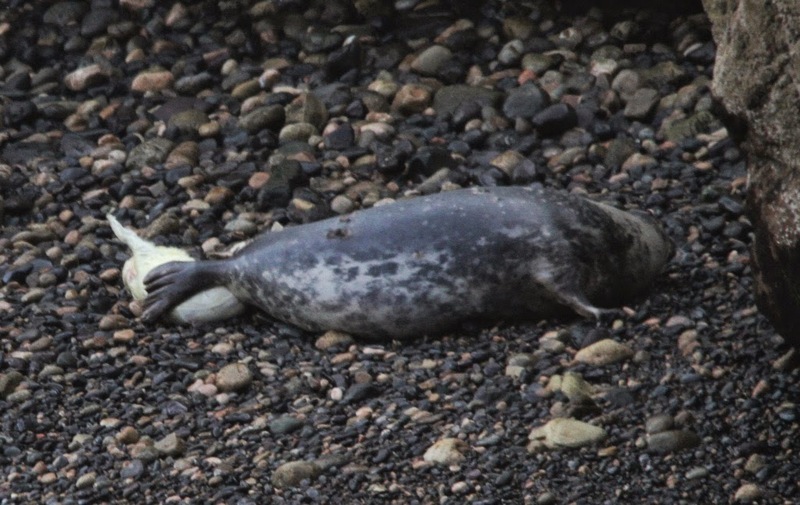 Did you know for example that Manxies (as they are affectionately named) are known to live for over 50 years? And that they travel from Skomer to the coasts of Argentina and back EVERY YEAR? Totally amazing! Skomer Island plays host to the largest colony of this bird in the world, with an estimated 316,070 pairs nesting here (wow! ), and now is the time that the chicks start to leave their burrows at night, so it’s a busy place after dark. 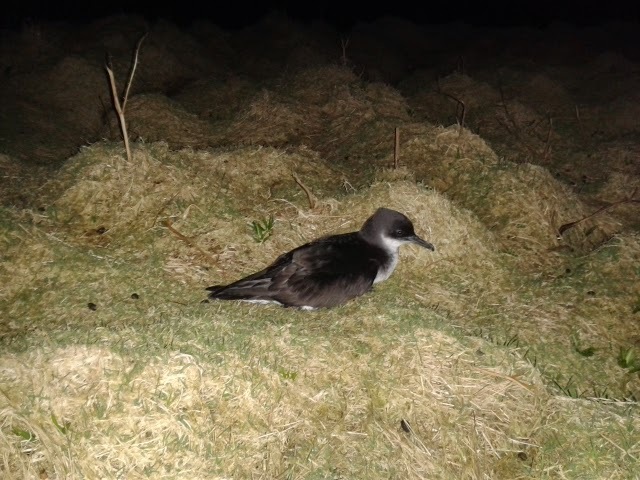 As Manx Shearwaters are only active on land at night, the best (and only!) way to experience these birds on land is to stay with us in the hostel. We look forward to seeing you! · Getting up close to nature. - Migrating birds. 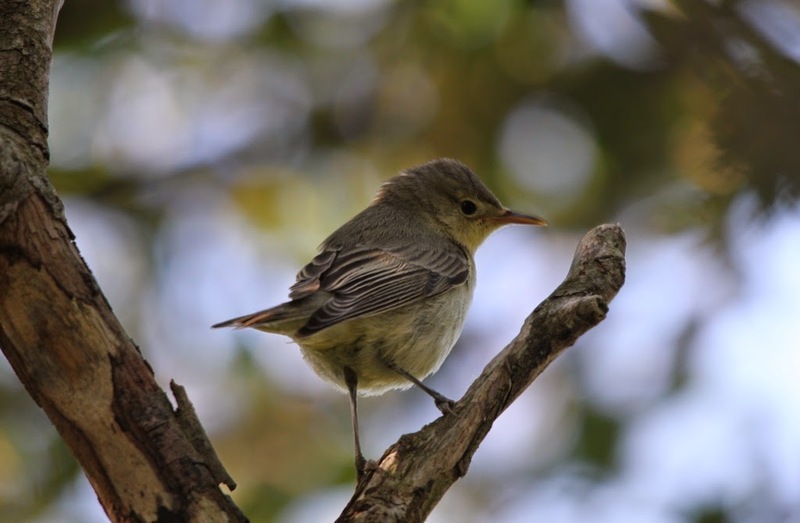 September is a particularly exciting and important time for migrating birds. 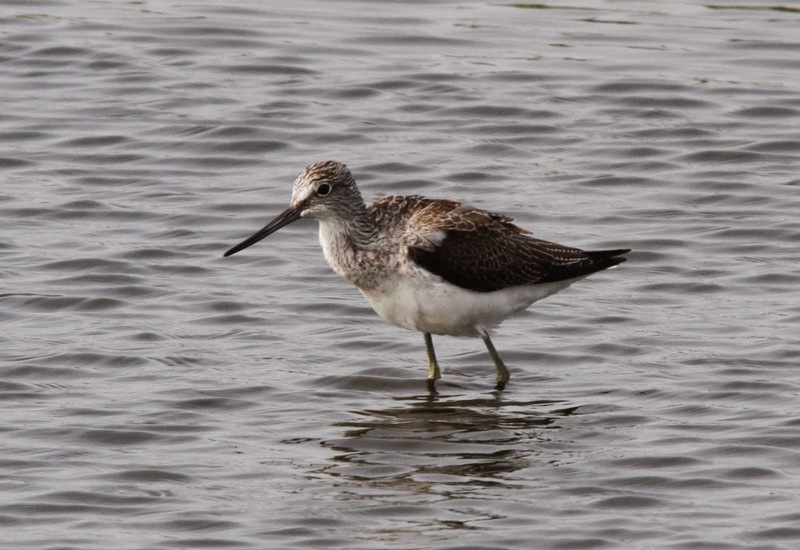 Using the island as a refuelling station, many birds that leave the UK to winter in warmer climes will temporarily stop with us to take on fuel and to maintain their energy levels. 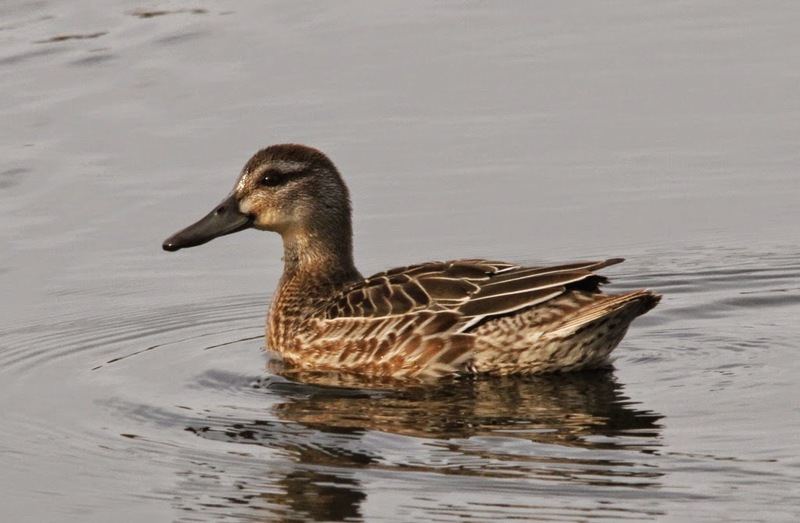 Anything from ducks and geese, to waders, to owls and birds of prey, to thrushes, warblers, finches and buntings can be found on the island; the variety can be impressive! 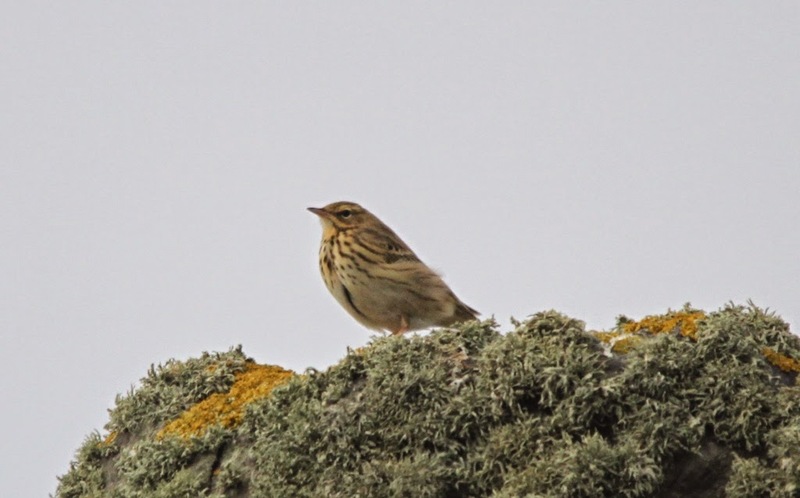 The island has a good track record for turning up fantastic rarities at this time of year also, so any keen birders? Come and try your luck! - Marine mammals. I’ve already spoken about the seals, but September is also one of the best times of the year to see Cetaceans around the isle. Harbour Popoise is seen daily around the coast at the moment, and Common Dolphin is also very frequent. 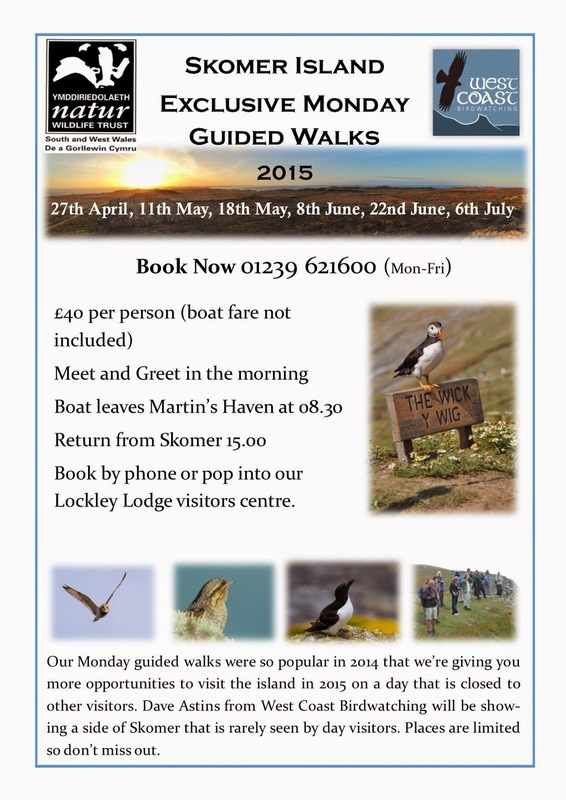 · Genuinely stunning surroundings and fantastic walks. It’s no exaggeration when we describe some of the coastal landscapes here as breath-taking. The rugged coastal path that leads you round the island is truly impressive and well worth exploring. So come and pay us a visit! Day trips are still sailing from Martins Haven from 10am onwards, until the end of the month, and of course there is still room in the hostel if you want to experience Skomer to its full potential. Skomers run of good birds continues with light easterlies again producing the goods. 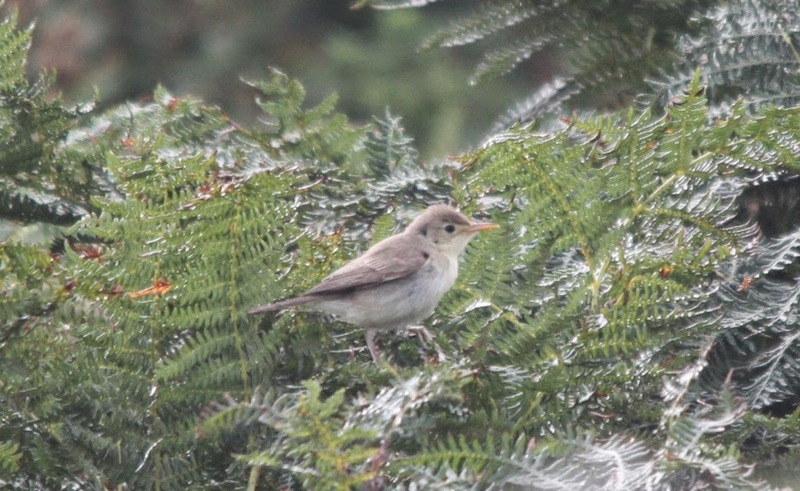 After yesterdays Icterine Warbler (12th record for Skomer) the last thing we expected today was the similar, but geographically separated, Melodious Warbler (also the 12th record for Skomer), but that is indeed what we found near the farm at 09.00. This, however, was probably eclipsed by a Kingfisher (6th record for Skomer) that whizzed through North Haven as afternoon boats were leaving. 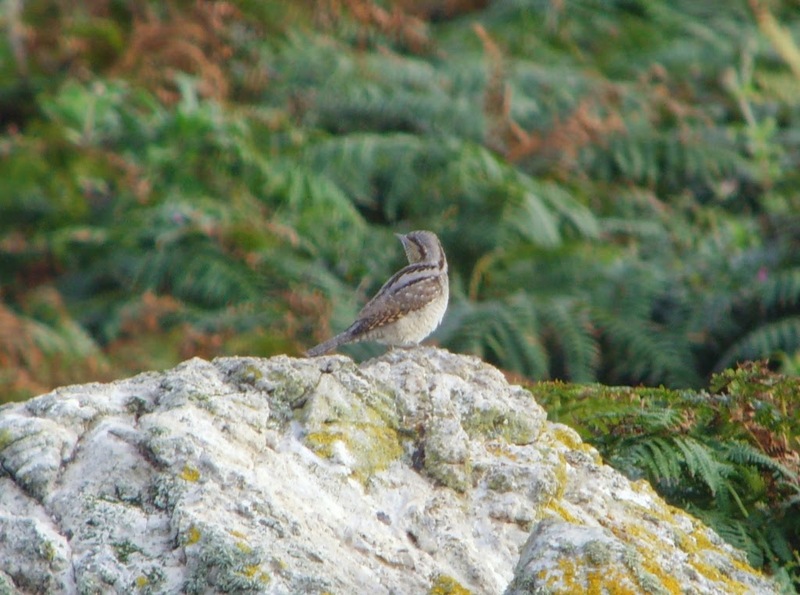 Other good birds seen today were Tree Pipit, two Pied Flycatchers and a Wryneck. Full List on right. 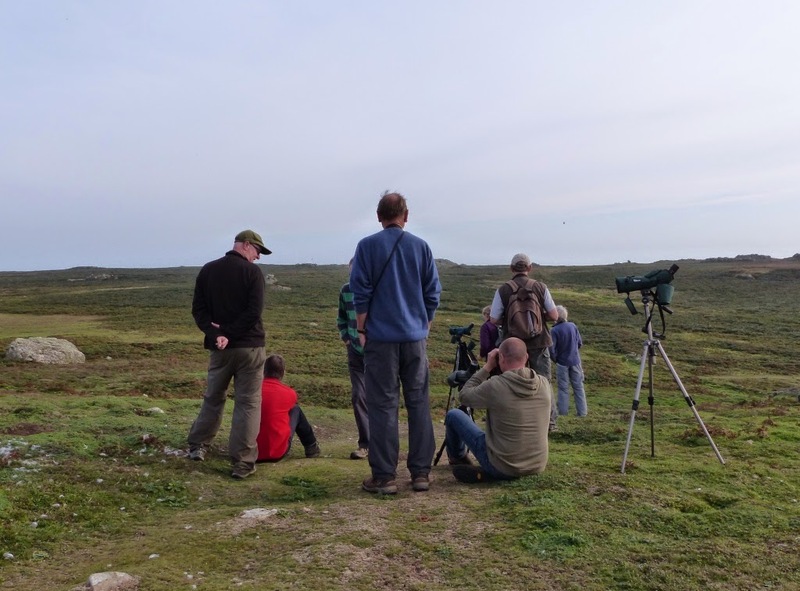 If you would like to be shown the spectacle of autumn migration on Skomer Island with local expert Dave Astins there are still a few places on his birdwatching weekend (14th to 16th September). For bookings call 01239 62100. Today was a good day for migrant birds on Skomer Island, with easterlies several days ago and light variable, but with a touch of east, today providing good winds for such things. 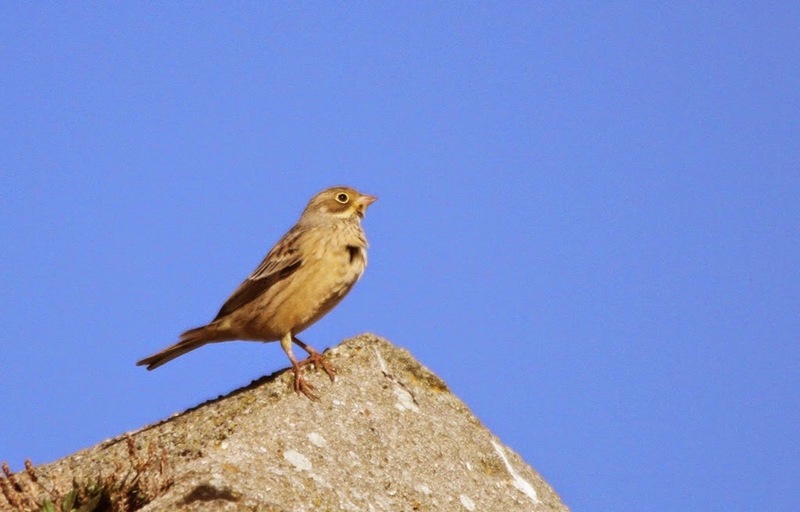 An Ortolan Bunting at the Farm was undoubtedly the highlight and an Icterine Warbler in North Valley wasn't bad either. A full list of todays birds is given to the right.